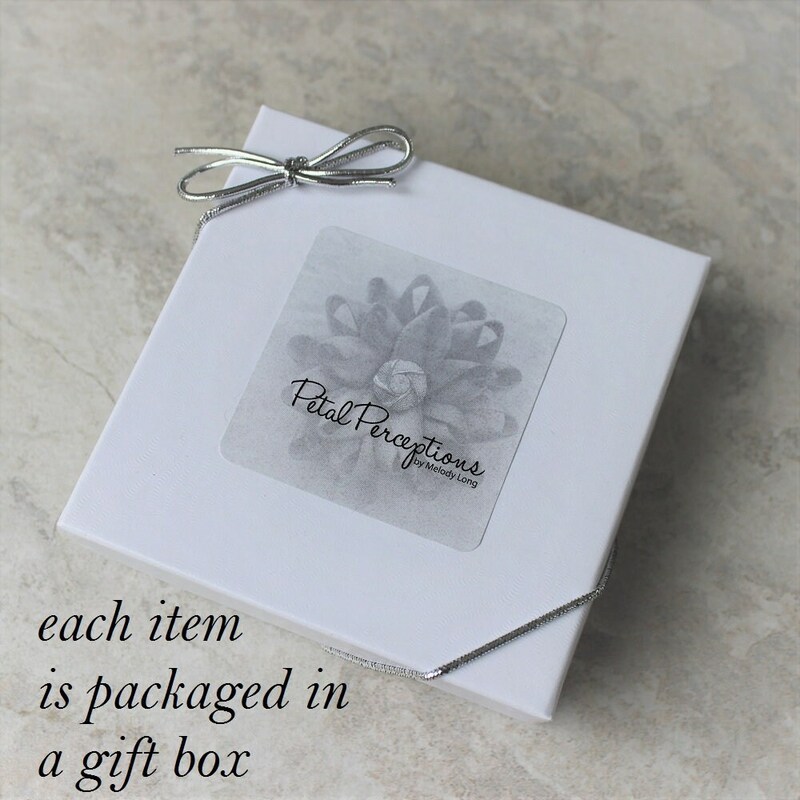 Need a unique gift idea for her? 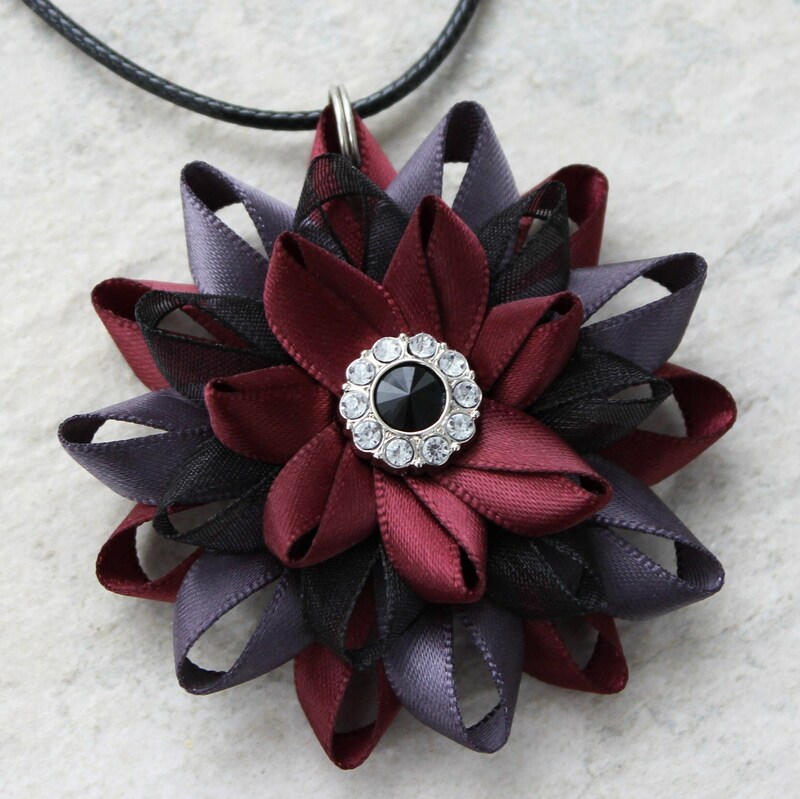 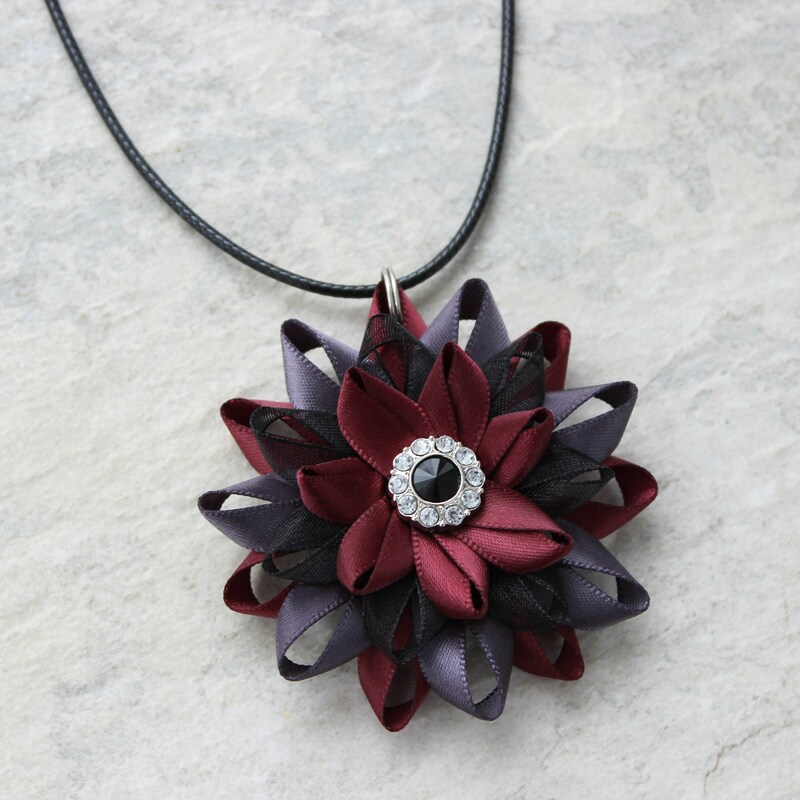 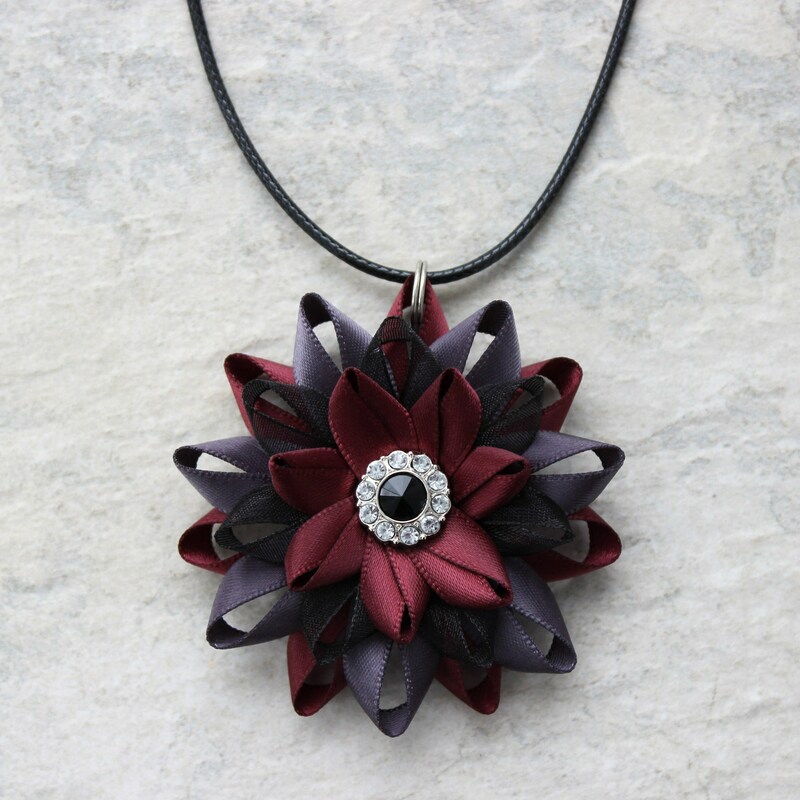 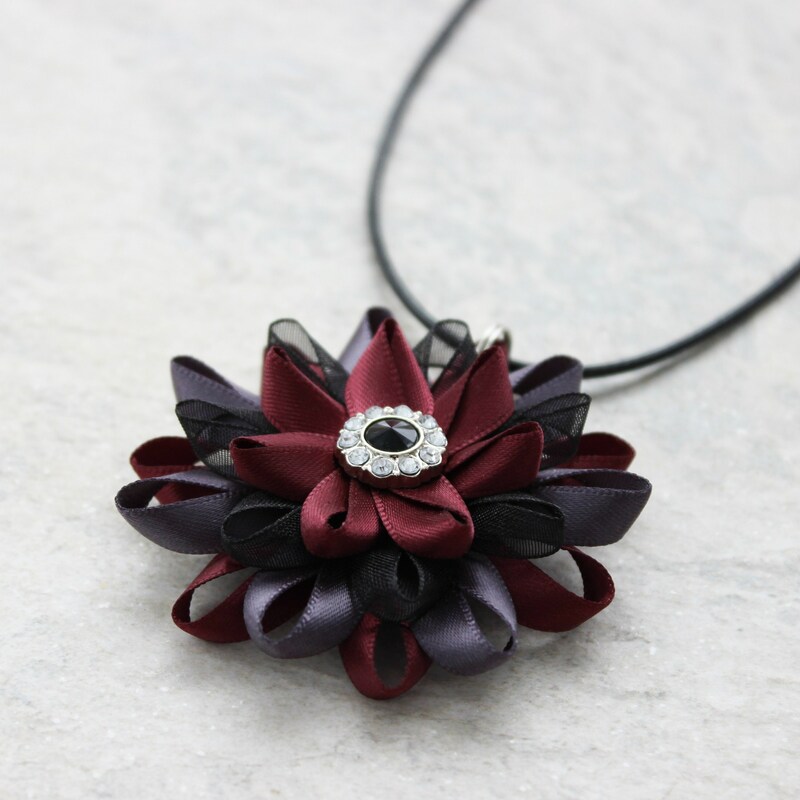 This pretty flower necklace is handmade from satin and organza ribbon in Burgundy, Metal Gray and Black! 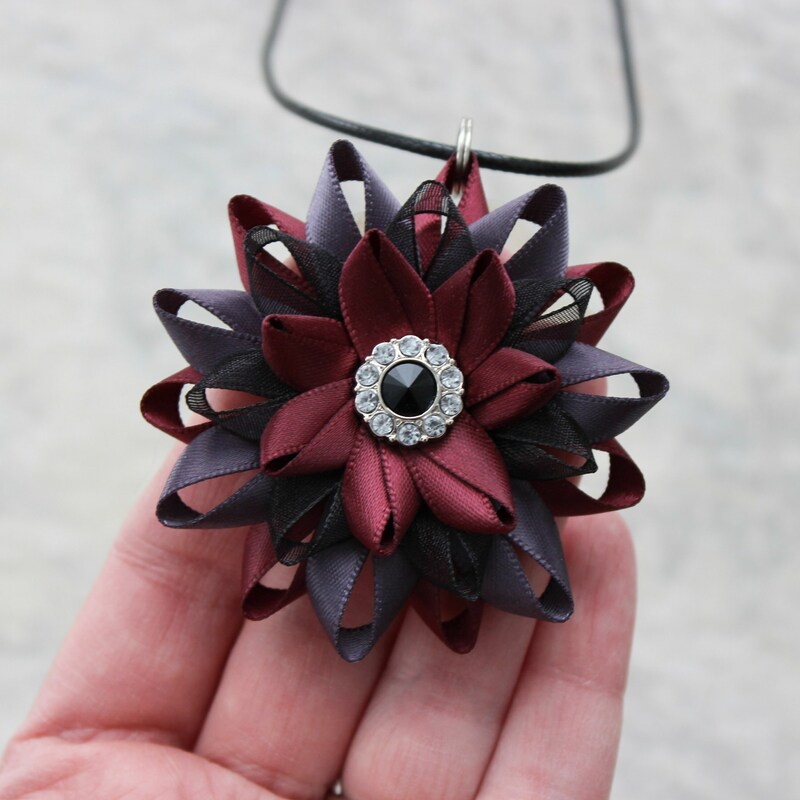 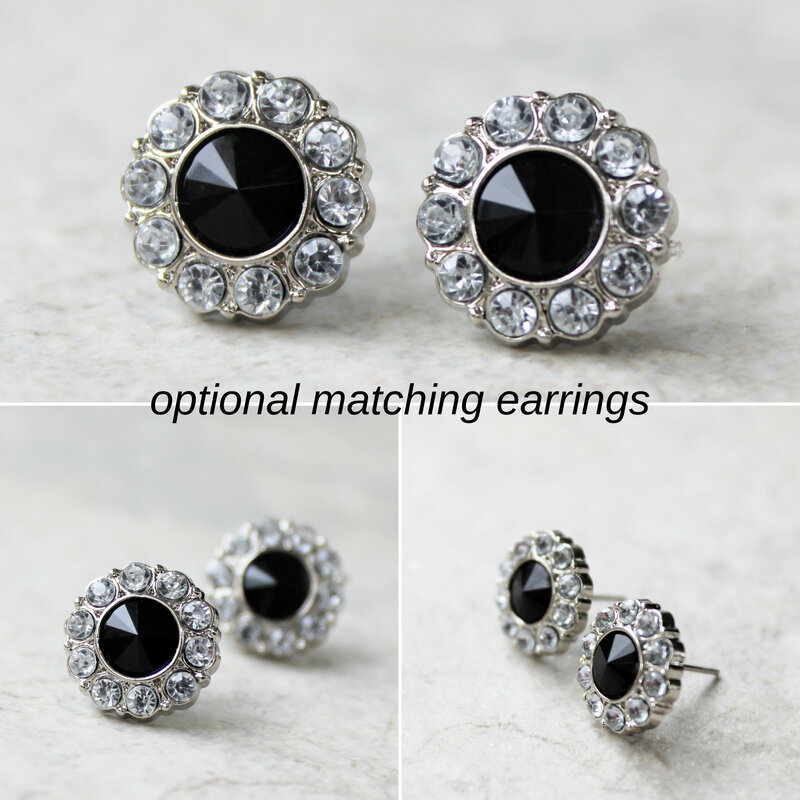 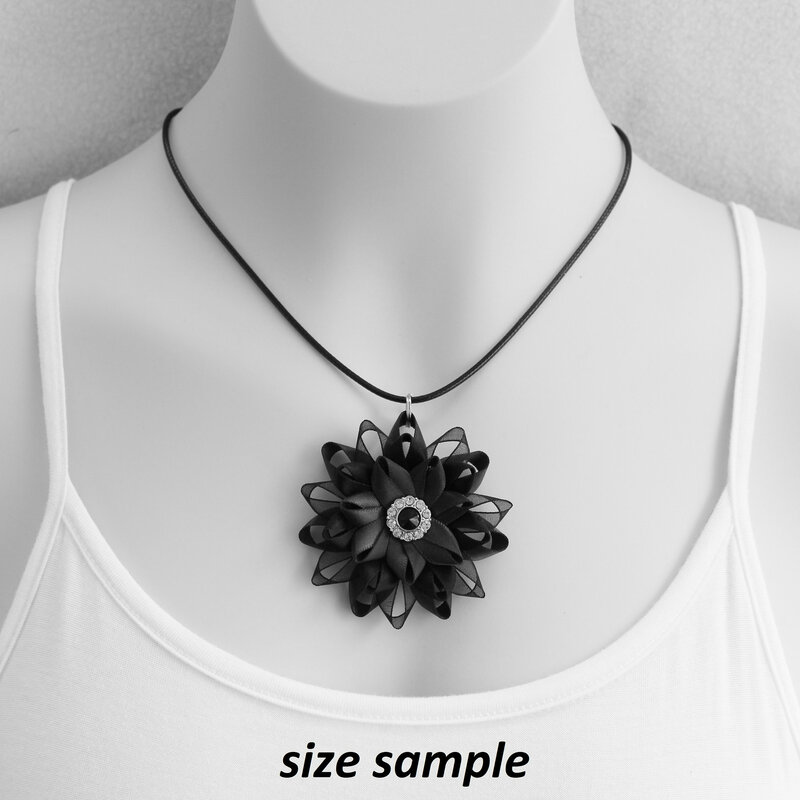 Each flower is uniquely handmade with a black onyx center and optional matching earrings.